We would like to complement you personally on managing to arrange the sale of my brother’s property on the island in a relatively short period of time in a challenging sales environment. Being an overseas vendor, you made the process pretty seamless and the updates by emails or phone when necessary kept us abreast of progress. Happy New Year Tim and I hope 2017 is a good year for you. Thank you very much for your support and help during the sale of my apartment. I couldn’t have asked for better estate agents to handle the letting and sale of my property. Your pro-activity truly made a difference on this process. You and your team went the extra mile and beyond every time that I needed help, especially when the process was stalling. 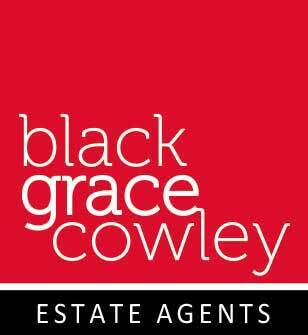 I felt that my property was in good and caring hands, that Black Grace Cowley truly appreciated my business and that I was getting the best service I could ever get from an estate agency. Your professionalism and knowledge of the market allowed me to end this experience on a high note. I couldn’t have been able to sort this out from abroad without your help. Once more, thank you for everything! Moved in as planned and all is fab as expected! This will work very well for us in the short term 6 months and maybe even long term. Thanks again for your support and if we decide to look again in the future will call you (Jenny – Lettings Department). Firstly we would like to thank you and your team at Black Grace Cowley for the excellent service and help you gave us when we came over, especially as we had such limited time. Many thanks to the Sales Team! Just wanted to say thank you very much for selling our house!